You are planning to set up business in Montreal, Quebec, but do not know what you should. Purchasing a tea room can be a smart idea. The tea room business is notable as the home to the tea goers in the city. This property would definitely be a strategic business location since it is surrounded by retail space and eateries. It is specifically situated at the corner between parks, buildings, and other profitable businesses surrounding the area. • It has a spacious fourth floor, which is ready for further development. • It has two propane fireplaces in its tea room dining area and in its four-bedroom apartment. • Its apartment is equipped with new windows with an open concept dining, living or kitchen room and mostly hardwood floors. Its large master bedroom includes a full ensuite with shower and claw legged tub, and a walk in closet. Full bath and kitchenette finish and three extra bedrooms are also included in the property. This tea room sale includes real property located in a business hub surrounded by retail buildings and eateries. Whether you are looking for a space for a residence, investment opportunity, or business, this property currently for sale is the best for you. 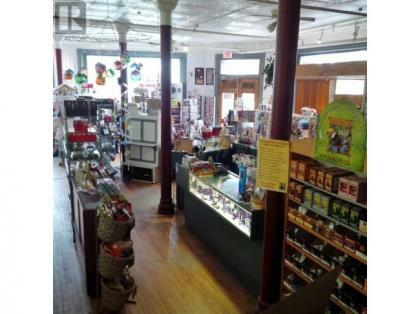 The 10,800 square feet property features a retail and tea room on its main floor, a ladies gym and a retail display on the second floor, four bedroom apartment on the third floor, and a wide open attic ready for development on the fourth floor. Its nearby amenities include shopping areas. The surrounding community features recreational facilities, bus route and public washrooms. You may contact the seller for any availability of our owner financing and any other funding options. Just contact us for more information about the property and the business as a whole. We will be more than happy arrange an appointment with you and attend to your related queries. The tea room is open for expansion to establish global branding. It aims to stay competitive in the beverage industry. Our head office in Montreal, Quebec can be reached on a local phone line or a toll free 24/7. Support and other ideas are provided to the new owner. It is also offering complete support and training. We have been operating for six years.